Ricky Tyler Landscapes offers complete business and commercial grounds maintenance for properties in Chelsea and the surrounding area. Whether you require commercial landscaping work carried out or year round garden maintenance, we offer a reliable, professional service at prices we know you’ll love! At Ricky Tyler Landscapes, we employ fully trained and highly visible teams to carry out lawn care, turfing, and other general garden maintenance services throughout Chelsea and other areas of London, such as Hammersmith, Battersea, and Knightsbridge. No matter what size of garden you have, we have the expertise and the experience to maintain your grounds in perfect condition throughout the year. A well kept and beautifully presented garden and grounds projects a positive image for your commercial or residential premises, not only for visitors and the public in general, but also for your own staff. Everyone can appreciate well maintained grounds, but getting them looking their best takes time and know-how. 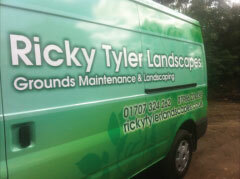 This is where Ricky Tyler Landscapes comes in. We’ve been providing professional grounds and garden maintenance for many business and commercial clients, as well as hundreds of residential and domestic customers, since 2002. Originally operating throughout Greater London, we now also work in inner London areas such as Chelsea, Shepherd’s Bush, Lamberth, Fulham, and elsewhere. We carry out the full range of gardening and grounds’ maintenance tasks for commercial, residential and domestic customers. So if you need a one-off job, such as lawn mowing or turfing, tree surgery or a general tidy up, we can do that. 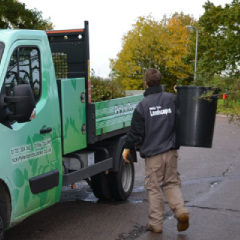 If you want year round maintenance to your commercial grounds, we can do that too - everything from tree surgery to landscaping, plus all other gardening jobs. For all your grounds maintenance and garden maintenance in Chelsea and surrounding area, be sure and add us to your contacts list! Ricky Tyler Landscapes can provide gardening and grounds maintenance services including Chelsea Grounds Maintenance covering Chelsea, London .